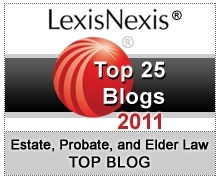 North Carolina Estate Planning Blog - Is LegalZoom Selling Your Personal Information? Is LegalZoom Selling Your Personal Information? The Attorney General of Washington instituted an investigation of LegalZoom for the unauthorized practice of law and the release of personal and financial information of customers to third parties, resulting in LegalZoom entering into this Assurance of Discontinuance. Check out this article on the topic. The North Carolina State Bar has also determined that LegalZoom is engaging in the unauthorized practice of law, and has ordered it to cease and desist. I hardly need to say it, but caveat emptor, LegalZoom customers!